↵a All mutations were absent from >96 healthy control subjects. fs, frameshift; H, homozygous; h, heterozygous; IVS, intervening sequence; M, maternal; ND, no data available; P, paternal; RP, retinitis pigmentosa. ↵b Age of onset of ESRD. 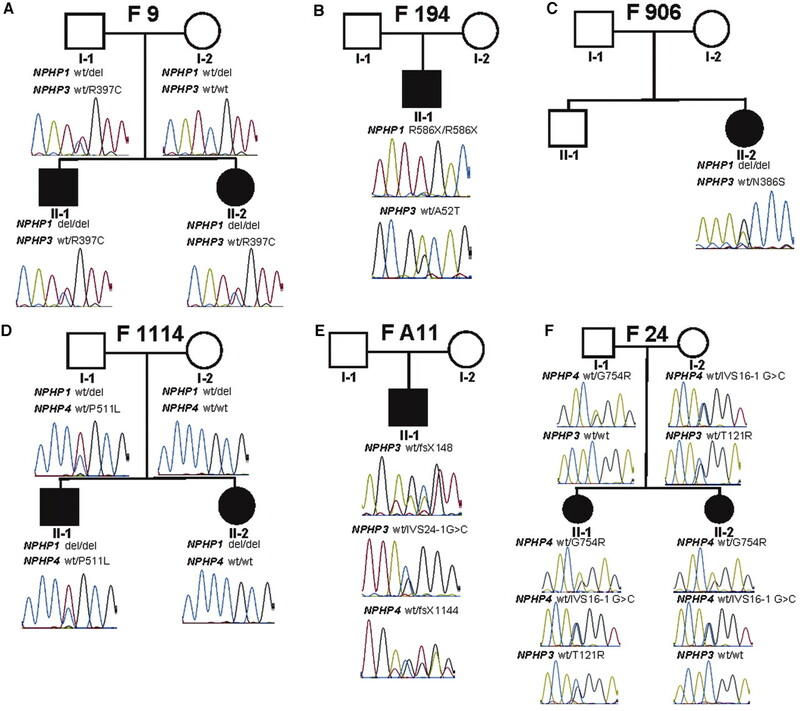 ↵c No specification of M or P if parent DNA not available for mutational analysis. ↵d Species dating back farthest in evolution, in which the amino acid residue of the wild type allele is conserved: Xl, Xenopus laevis; Dr, Danio rerio; Mm, Mus musculus; Hs, Homo sapiens. ↵e Presence of two mutations in the same gene.